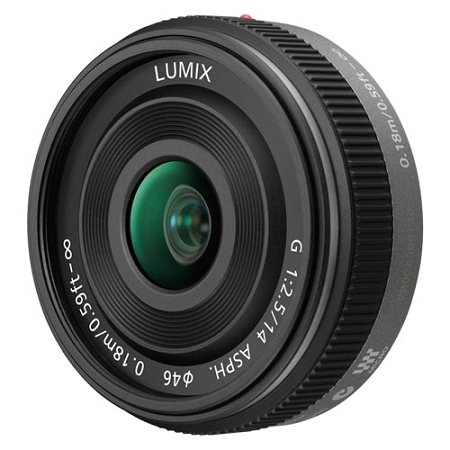 Interchangeable single focal length lens LUMIX G 14 mm / F2.5 ASPH. 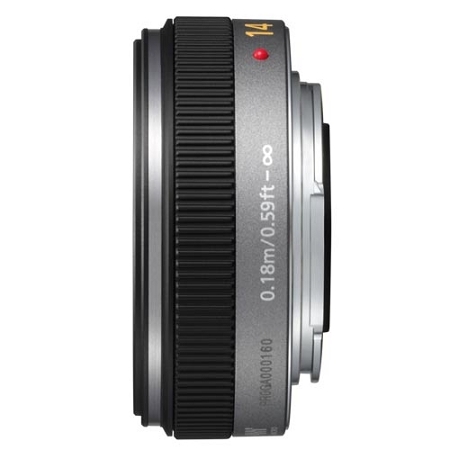 features a 14mm (35 mm camera equivalent: 28 mm) wide angle and F2.5 brightness with sharp, high contrast image rendering. Taking advantage of the wide angle of view and deep depth of field, the compact LUMIX G 14 mm / F2.5 ASPH. offers excellent performance in shooting not only landscapes but also snapshot or indoor shooting.